As a volunteer-led organization, TAMA relies on donations from private entities, government organizations and generous individuals to carry out its mission of providing quality medical care from a competent midwife to every childbearing woman and new born child in Tanzania. 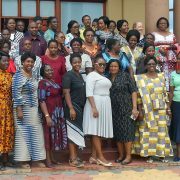 Education: TAMA’s main financial commitment is the funding of education for Tanzanian midwives. This education is carried out through comprehensive, hands-on training in clinical environments across the country. There are many costs associated with this training, including staffing, transportation, educational materials, space rental. Donor funds are essential in ensuring TAMA’s midwife training can continue to improve and reach more prospective health care practitioners. donor funds help make it possible for TAMA staff and volunteers to connect with community members and promote the benefits of registering as a TAMA midwife. 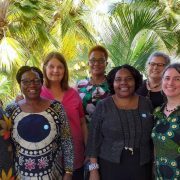 Advocacy: Through community and government partnerships, TAMA works tirelessly to advance the profession of midwifery nationally with the goal of gaining recognition for midwifery as a standalone medical profession in Tanzania. This advocacy work requires extensive coordinating within TAMA’s membership, as well as with local and international midwifery associations. 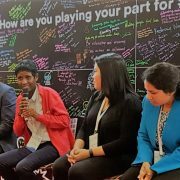 Donor funds help support the events, conferences, and speaking engagements TAMA organizes to ensure its voice is heard by those with the ability to impact change.